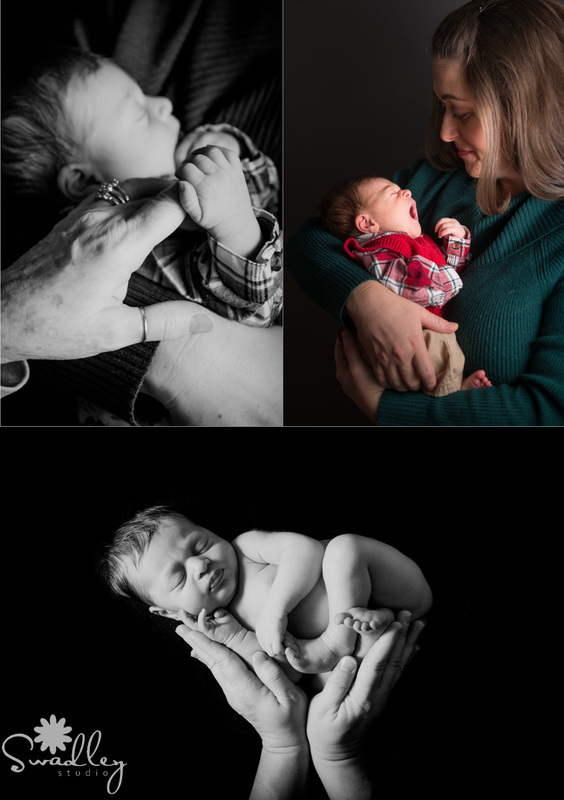 I loved doing Joseph’s newborn portraits! This kid is going to be one tough guy! He is officially the STRONGEST baby I have ever photographed! I was blown away at how many times he tried to sit up from the positions I placed him in. Thankfully, I always have the mom or another spotter next to the baby for safety when in certain positions, because if not this baby would have jumped across the room (ok, maybe that’s a little exaggerated, but he surprised us for sure!). Check out his super cute pictures! His grandma came along to the session, but was adamant about being photographed (my stepmom is the same way! ), but I was equally as adamant that we at least get a shot with her hand with his tiny hand. I’m pretty sure this one will be cherished so much when he is older. He was born at Christmastime, so of course we did some Santa shots! Thanks for following along on our photographic journey! 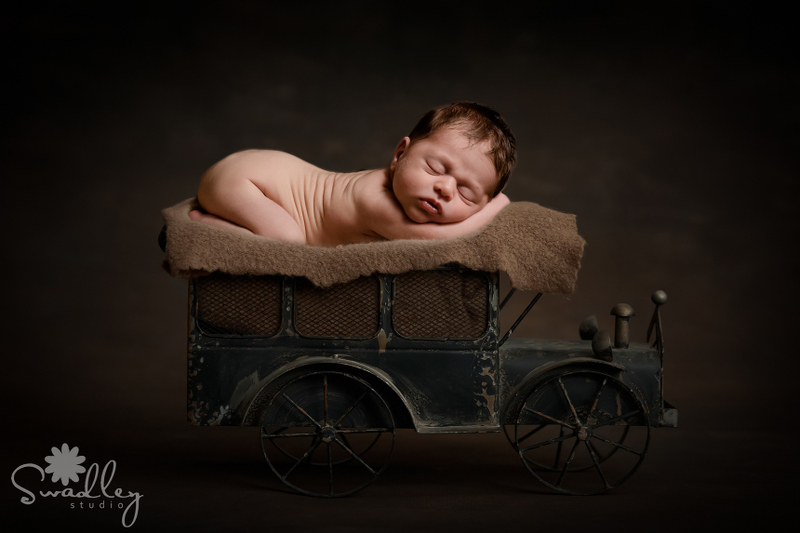 If you would like more info on our newborn photography, use the contact form at the top of this page to request our exclusive newborn planning guide. We also shoot senior portraits, weddings, engagements and headshots and would love the chance to work with you! Follow us on Facebook, Instagram, YouTube and Pinterest to get updates on everything happening here at Swadley Studio!